Few virtual, home-based call center companies hire in all 50 states. Some states have a lot of work-from-home call center opportunities and others don't. California is one of the states that have fewer of these types of jobs than most. 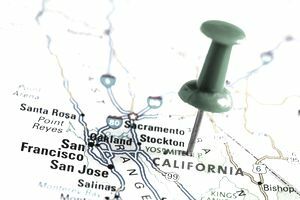 Navigate the list below to find out more about the companies that offer call center jobs that you can do from your home in California. This list is by no means definitive, but it's a great place to start. All of the companies listed here require that you have a quiet workspace and reliable, fast internet service to qualify for their virtual call center jobs. Some companies require that you use your own computer, phone, and headset, and others will provide some of this equipment for you to use while working from home. Accolade Support is a BPO, or business process outsourcer, that provides call center services for other companies and organizations. The company hires remote agents as independent contractors, not employees of the company, to do a range of customer service–related work. Agents get to work from home and choose their own hours. Candidates must have good written and verbal communication skills, sales skills, some technical skills, and the ability to work professionally and accurately. Logistical requirements include a PC with Windows 7 to 10, a reliable internet connection, and a headset. Apple At-Home Advisors answer customers’ questions about Apple products, services, and accessories over the phone or through chat. People hired for these full-time and part-time positions are considered Apple employees and are part of the company's customer service group, called AppleCare. All employees get a benefits package that includes paid time off and product discounts. Apple provides training, an iMac computer, and a headset for all At-Home Advisors. ARO is a BPO that provides "back office" and customer care services for companies in the healthcare, insurance, and financial service industries. The company hires workers as employees, not independent contractors, for full-time and part-time positions. Candidates must have high-speed, reliable internet access and a dedicated phone line. Training is provided to new employees. Workers at LiveOps are considered independent contractors and not employees of the company. Types of jobs offered include customer service, inbound sales, roadside assistance, technical support, insurance claims and sales, payroll support, and more. Job candidates must pass a background and credit check, for which they must pay a nonrefundable fee of $45. All workers must have a corded telephone with a compatible headset that they can use for work, as well as a PC that runs Windows 7, 8, 10 or Vista Professional Edition. Support.com is a provider of cloud-based software and services that enable technology support. The company also provides tech support services to customers on behalf of other companies through agents that are mostly working remotely from their homes. Agents are hired as company employees and receive benefits. Ver-A-Fast hires its work-at-home call center agents as independent contractors. They use a predictive dialer system to make subscription verification and telemarketing calls for the company's clients, which are primarily from the newspaper industry. To qualify for the opportunity, candidates must be willing and able to work at least 16 hours per week, with half of those hours on weekends or evenings. They also must have a PC with an Intel Core i5 processor or better running Windows 7 or newer.